No purchase is necessary to enter or win. A purchase does not increase the chances of winning. However, owning Real Estate in Delaware does allow you to create lasting family memories which would make wonderful entry photos! Eligibility: This contest is open to US residents, ages 18+. All eligible photo entries must be property of the entrant, and must not violate any 3rd party or intellectual property rights. Campaign Period: Entries will be accepted from August 24 – Sept 4th, 2017. The winner will be notified on September 5, 2017 via Facebook. How To Enter: Entries can be made by posting a photo on the Seaside Seven Facebook page (or by sending via Direct Message) and using the hashtag #seasidesummer2017. 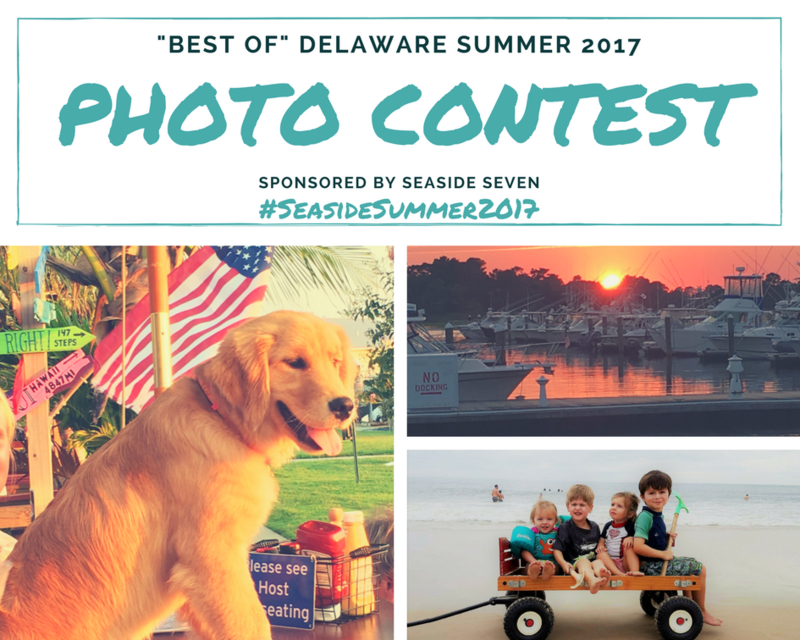 Photos can also be entered via Instagram by tagging @seasideseven and using the #seasidesummer2017 hashtag. Photo entries received will be added to the Facebook album – “Seaside Summer 2017 Photo Contest” and the winner of the contest will be determined by highest number of likes in our Facebook album! Share with your friends to increase your likelihood of winning! Prize: The Winner of the Photo Contest will receive a $500 gift card to Bethany Resort Furnishings. No cash or other substitutions shall be permitted. Prize can be picked up or mailed at Winner’s discretion. Sponsor: This contest is sponsored by Seaside Seven, a real estate group with Keller Williams Realty, located at 33546 Marketplace @ Sea Colony, Bethany Beach, Delaware. Broker number is: 302-360-0300. This contest is not sponsored by or affiliated with Facebook. Rights Granted by You: All entrants agree to allow Seaside Seven the rights of use of any photos entered without further compensation. Acceptance: By entering the contest, entrants agree and accept the above terms!